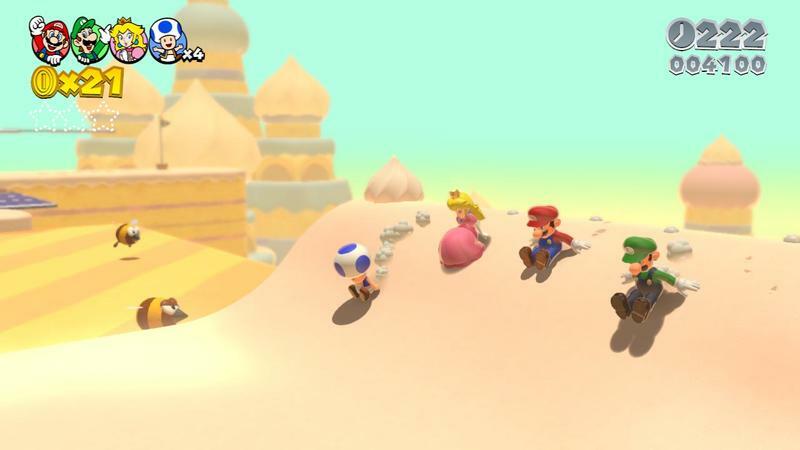 Super Mario 3D World Hands-on Preview - It's-a Him! Mario games; you either love ’em or don’t. I have a mixed relationship with the series. I’m a fan in general, but the New line has grown a bit tepid for my liking. 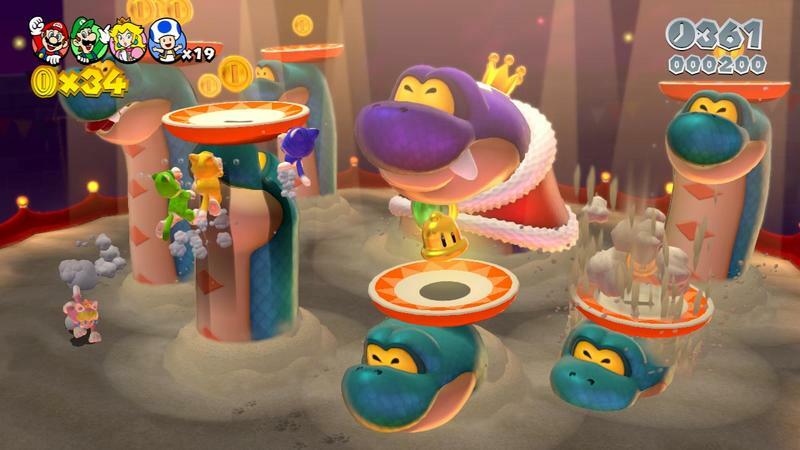 Super Mario 3D Land for the Nintendo 3DS, though? Pure magic. 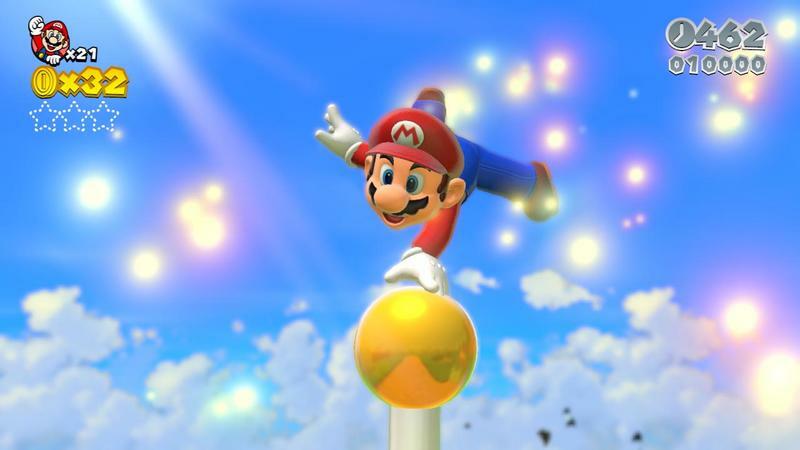 This mash-up of Super Mario 64, Mario Galaxy and Super Mario Bros. 3 was absolutely stunning. 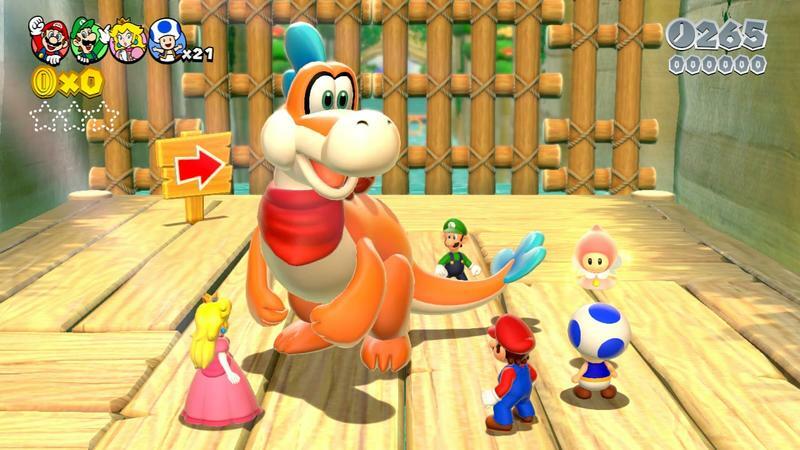 It stands as one of the best 3D platformers I’ve ever played, and it’s Mario’s best outing in a long time. 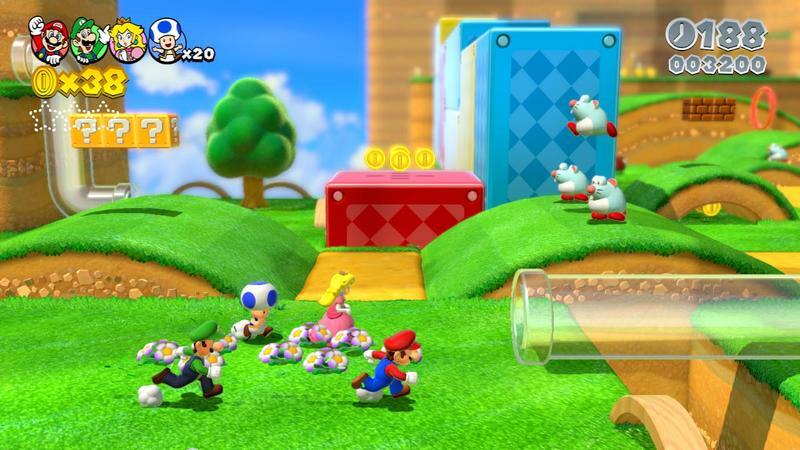 Super Mario 3D World was announced for Wii U during Nintendo’s E3 Direct presentation. As it’s the first sequel in the “3D” line, I’m genuinely excited. I played the game at Nintendo’s booth on the show floor for around 20 minutes. The bulk of my time was spent exploring the open space in World 2-1, as it was labelled. I picked Princess Peach and went straight for the cat power-up. Having Peach back in the mix is great. Those among you familiar with Super Mario Bros. 2 will remember that Princess Peach packs the ability to hover after her jump. It adds a little extra distance when launching between platforms. That hover is back, and it even works while Peach is in cat form. The cat power-up is actually much more interesting than I expected based on the reveal gameplay that rolled during the Nintendo Direct presentation. 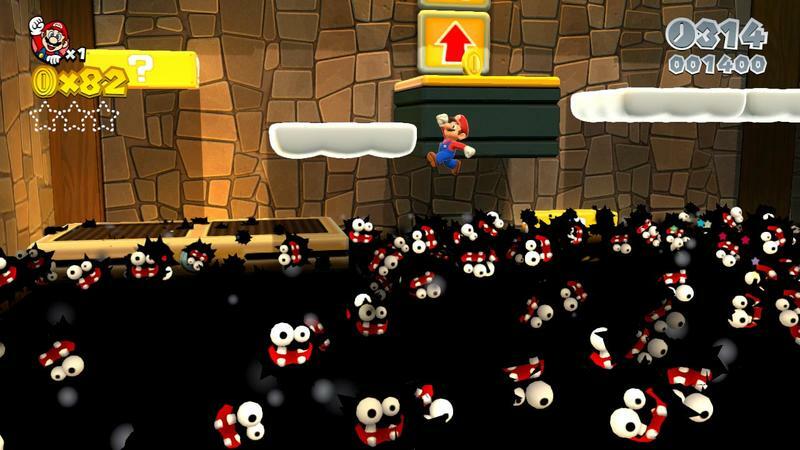 The pounce and swipe combat makes tangling with enemies a little more action focused than is standard in Mario titles. The real bonus, though, is the ability to scale up walls. The course layout and mechanics are really up in the air when heroes take to walls. 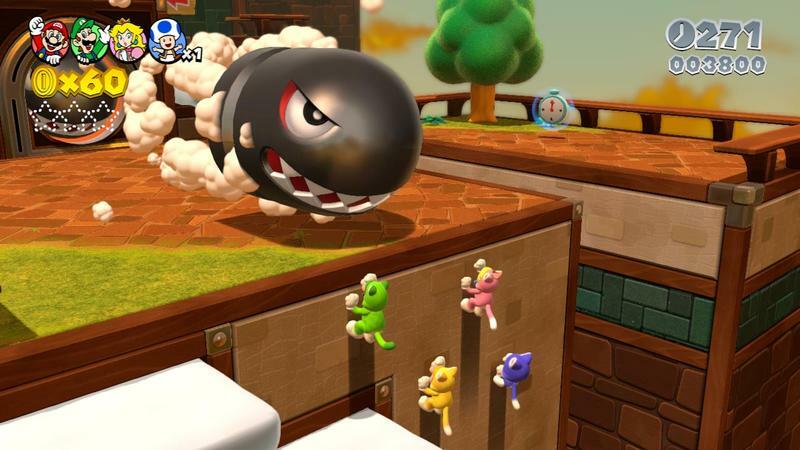 Rather than moving through the game’s space in a horizontal and stuck-to-the-ground fashion, running up walls means that anywhere on the map with a tangible background can be reached. 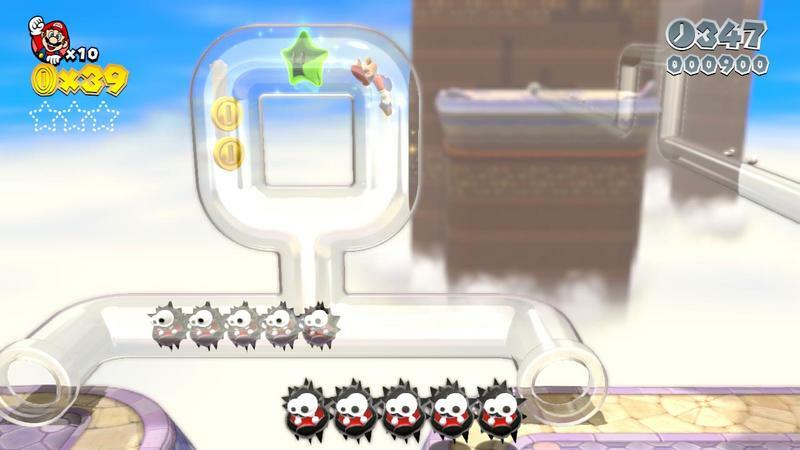 And, in true Mario fashion, sometimes the tops of these scaleable walls packed score bonuses or 1UPs. My time with the game was exceptionally brief. I played alone, so I can’t speak to how the cooperative play works in action. What I did see, though, was fun and inspired. Like I said up top, Mario games are for folks who like Mario games. The core mechanics remain intact in this entry, but Nintendo’s tried to push the experience out on all sides. So far, so good. Super Mario 3D World will likely be an exceptional Wii U title when it launches in December of this year. Rest assured that we’ll have more on this one as it comes.